^ This adorable pet camper was designed by Judson Beaumont of Straight Line Designs INC. It is made from fibreglass and aluminium stainless steel. 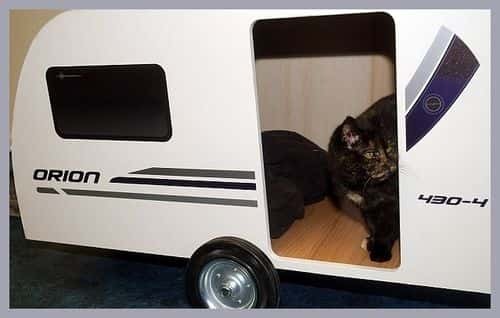 ^ There is a very heartwarming story attached to this cool cat caravan. 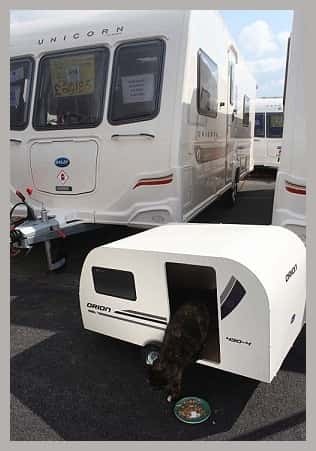 It was created especially to house a stray cat at Cosford Caravans. The cat wandered onto the site one day and made itself at home. The staff fed the cat and took care of her. One day when the managing director Mervyn Hughes was visiting he saw the ca. Staff told him that it slept on chairs in the showroom during the day but was put out during the night. 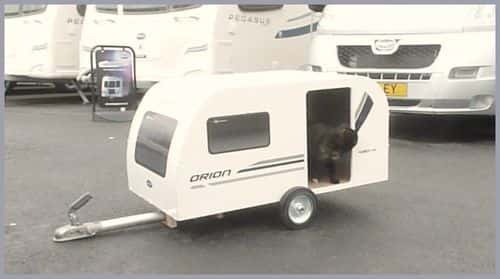 Two weeks later this miniature Bailey Orion caravan was delivered. Mervyn had organised for engineers in Bristol to design and build it especially.